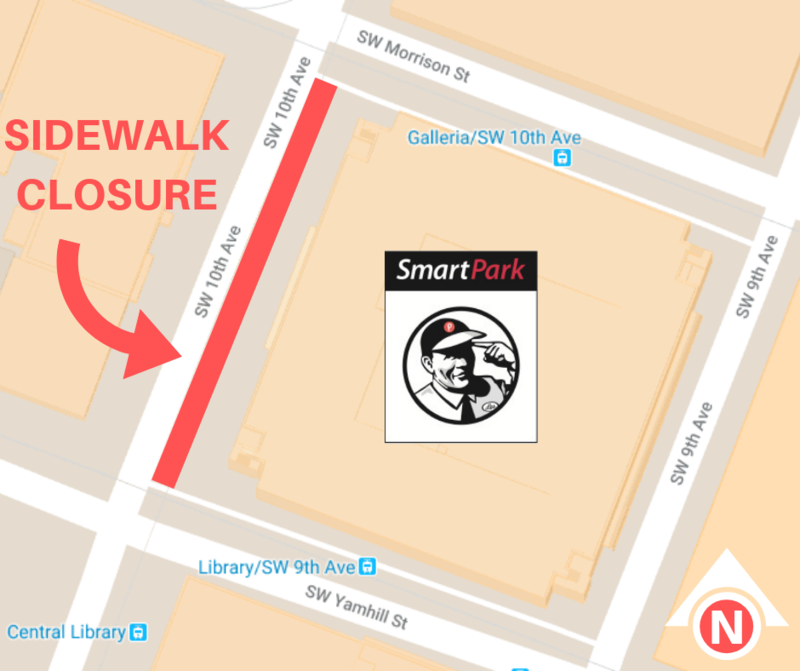 Construction crews will close the sidewalk along the 10th and Yamhill garage on Southwest 10th Avenue. This closure is necessary to install new streetlights. All crosswalks will remain open. Signs will direct sidewalk users to cross Southwest 10th Avenue and use the sidewalk on the west side of the street. The driveway to the garage will remain open.